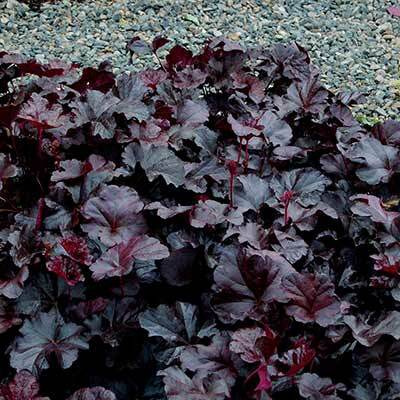 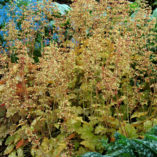 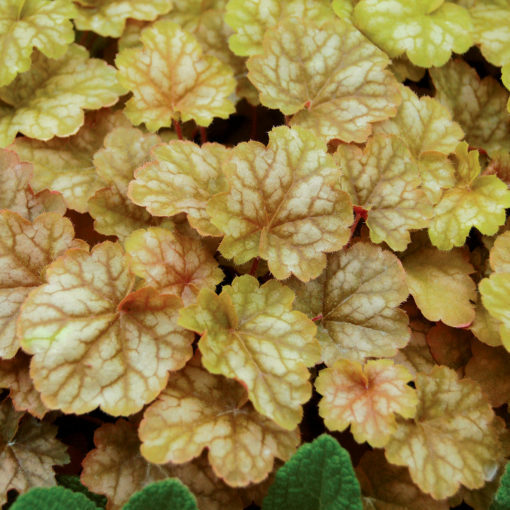 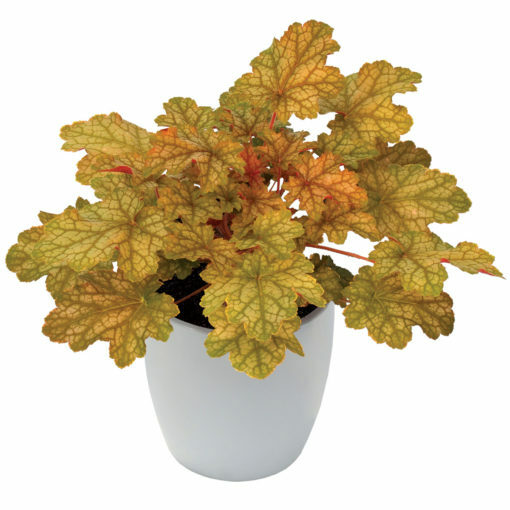 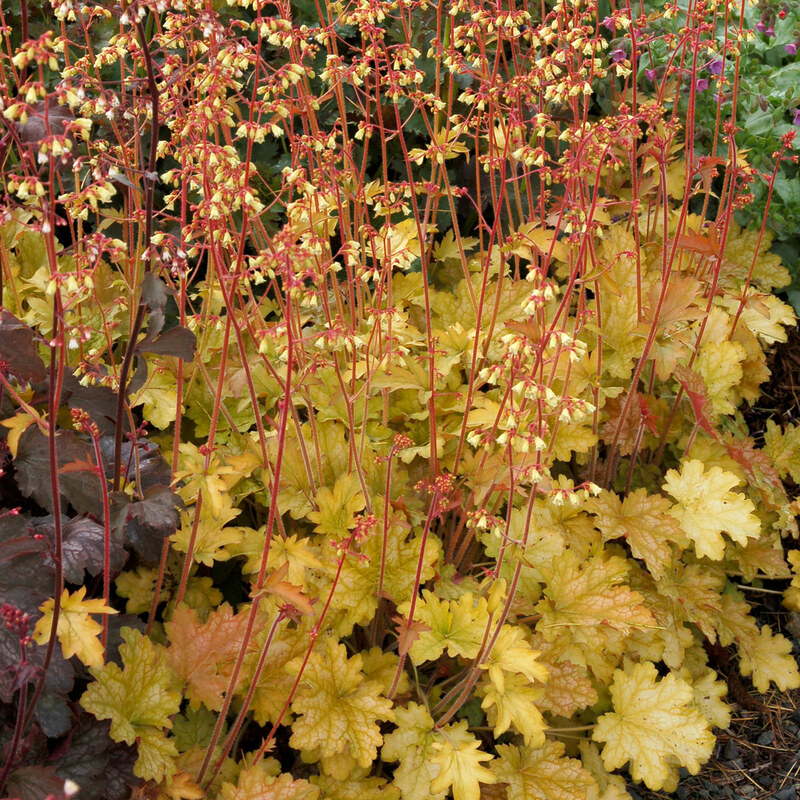 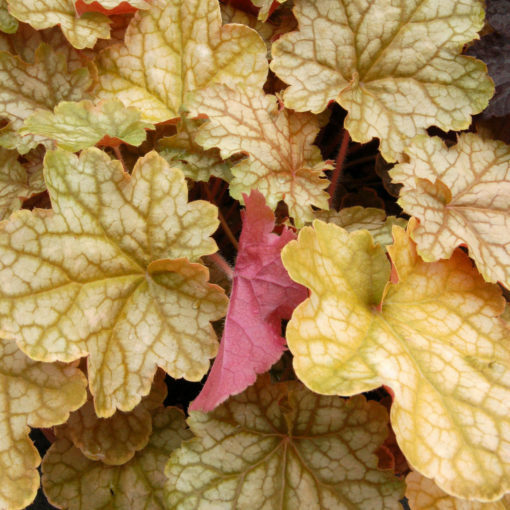 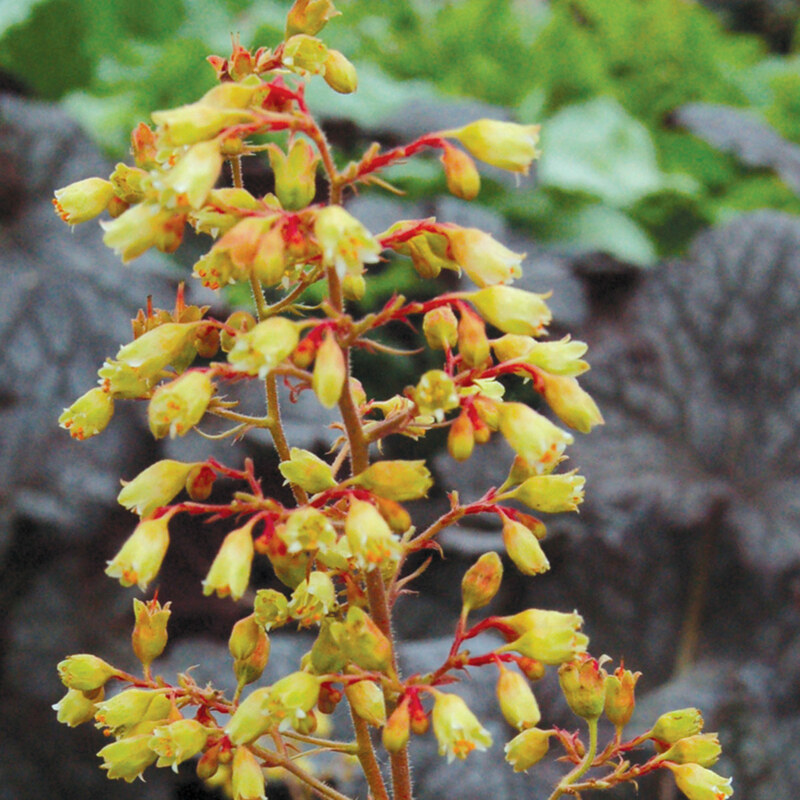 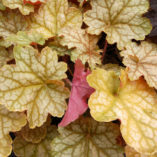 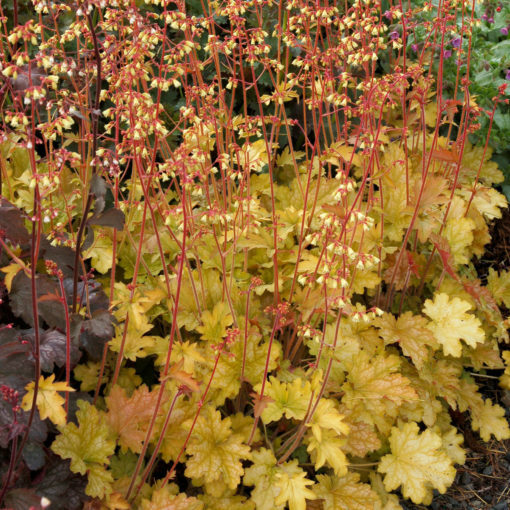 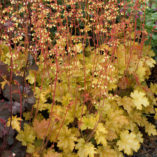 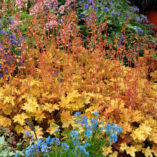 Heuchera ‘Ginger Ale’ | TERRA NOVA® Nurseries, Inc.
Effervescent flowers in shades of ginger yellow and light pink erupt from soft, ginger colored leaves. Lovely to contrast with the darker coral-bells in the marketplace. 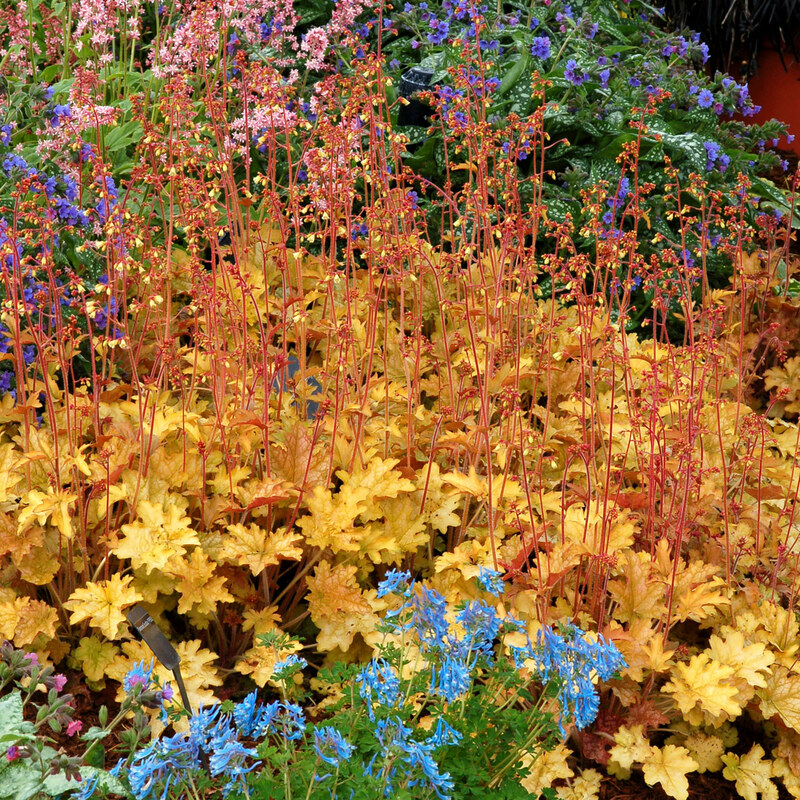 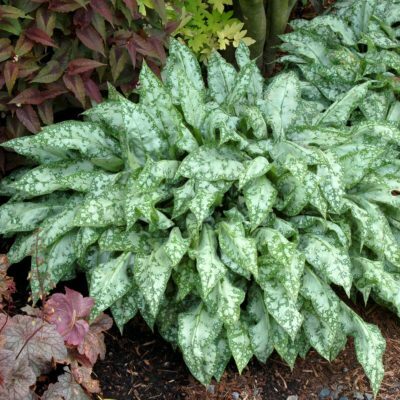 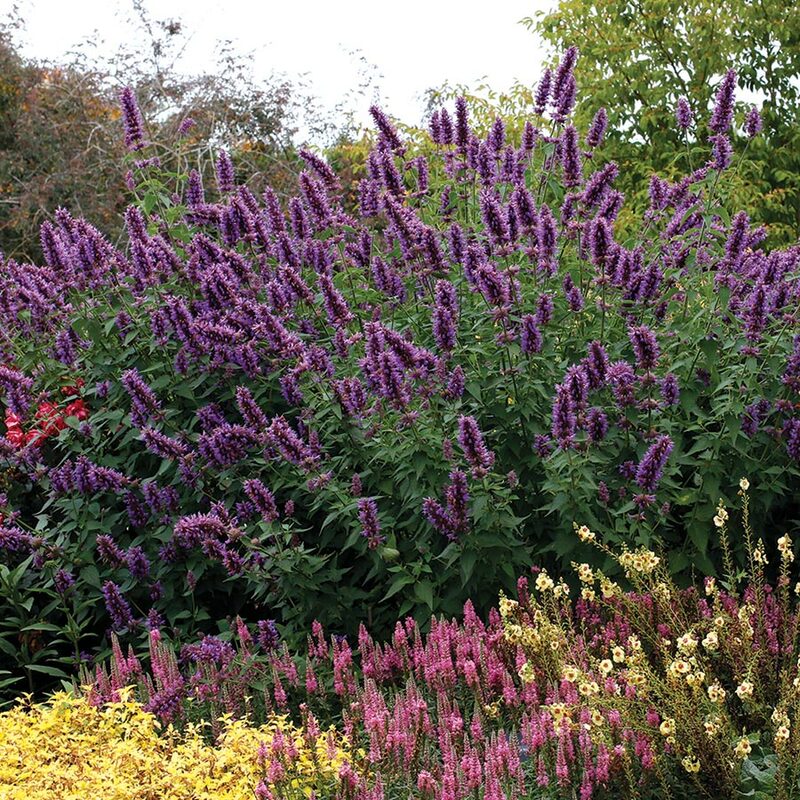 Designers love the ability of this plant to complement so many colors. 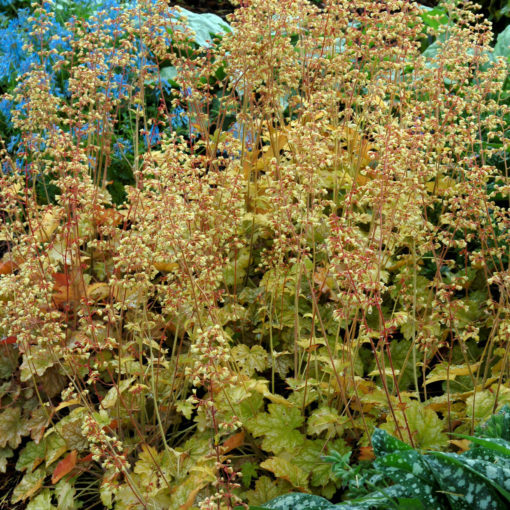 It is a perfect neutral tone. Good in containers and in borders. 9" / 10" / 18"
Compared to 'Amber Waves', it is more vigorous, with showy ginger flowers, and ginger colored foliage with a white veil. 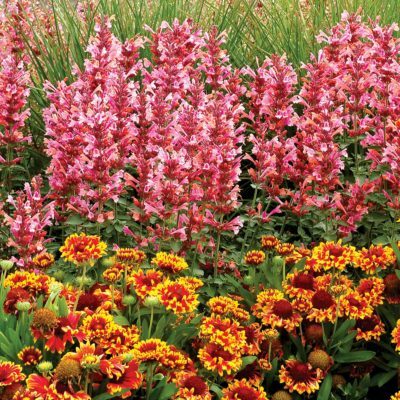 Mass planting, contrast, mixed beds. 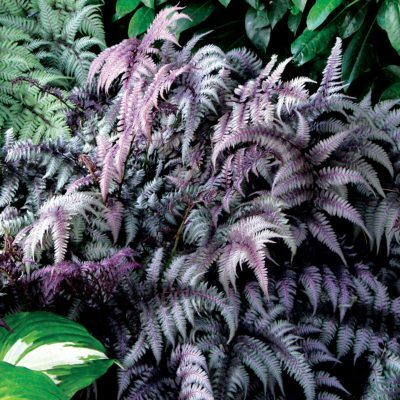 Good winter color.